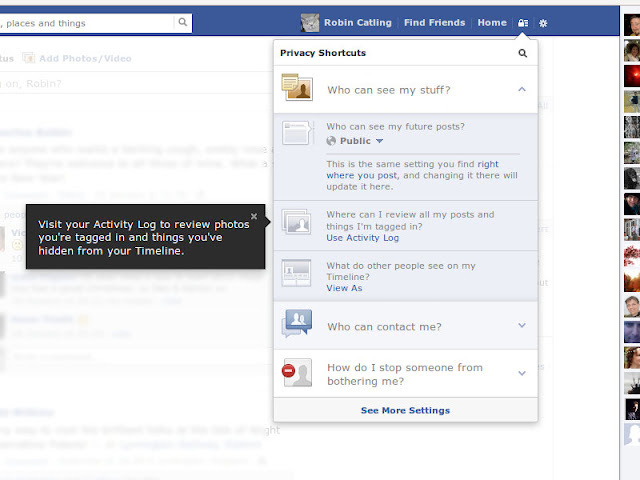 I know we've covered this previously, but that was before Facebook revamped the controls! Helpfully, all this stuff is now in one place: on the left of the search box beside your user ID and Home buttons, there's a funny icon which is meant to represent security - a padlock over a set of bars. And there's an option below that for even more settings. 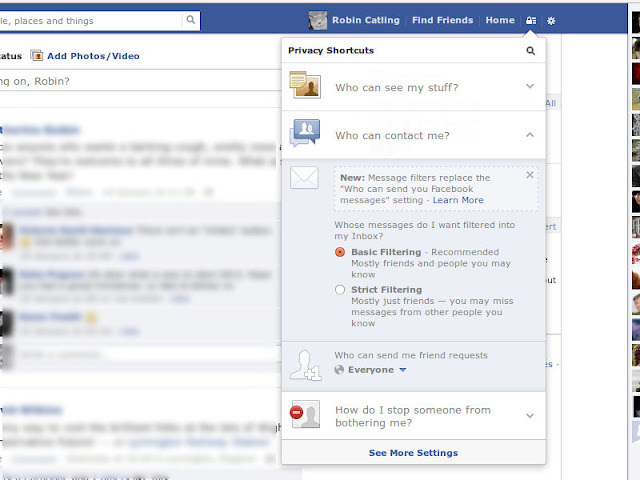 The basics include message filtering, who can send you friend requests and so on. It's all powered by drop-down lists, so go ahead and have a play. You can fence yourself off from a lot of the Facebook nonsense, but do not assume it means what you think it should in terms of privacy, nor assume it is 100% effective. 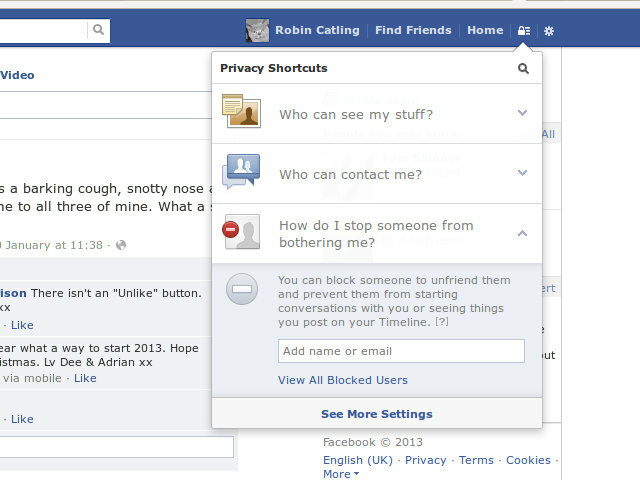 Facebook is driving ad revenue so you are likely to get unsolicited sponsored ads and messages from now on which bypass security settings. Also do not assume it will trickle down to all your previous posts made since you joined.